The old debate about what to call the plant cannabis sativa L. is giving businesses real-world headaches in both new and established marijuana markets. Iowa allows medical marijuana but calls it something else. Texas restricts medical marijuana so severely that doctors must break the law to use the state’s program. California officials are struggling to draw a bright line between what products are allowed and which ones aren’t. Iowa threw the cannabis industry for a loop last year when it authorized medical marijuana but called it “cannabidiol,” the name for just one cannabinoid in the plant. Iowa’s law limits MMJ products to 3% THC, 10 times the federal legal limit of 0.3% THC for industrial hemp. Because of that language choice, the law was interpreted by many, including Marijuana Business Daily, to limit producers and retailers to only extracted CBD. But the missing decimal point in the law’s definition opened the door to an MMJ industry, albeit a limited one. 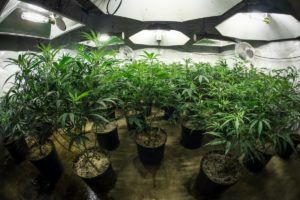 Iowa set a record for the highest licensing fees in any state for a cannabis producer ($150,000 a year) and limited the market to five dispensaries. “We are not a hemp program,” said Randy Mayer, head of Iowa’s Office of Medical Cannabidiol, which regulates MMJ in the state’s health department. Executives at MedPharm Iowa – currently the state’s only medical marijuana producer – said the state’s aversion to the word “cannabis” has confused potential patients. MedPharm Iowa’s THC-heavy product, a “Comfort” capsule with 20 milligrams of THC, was among its top sellers when its two dispensaries opened Dec. 1. Further complicating Iowa’s industry: The state is one of only a handful that don’t allow hemp cultivation under the terms of the 2014 Farm Bill. And CBD products have been deemed illegal outside dispensaries, even if the products come from hemp legally grown in another state. Cannabis pioneer California has its own confusing set of definitions for the industry. In the Golden State, the word “marijuana” is shunned in favor of “cannabis,” but hemp isn’t included in that term, even though hemp and marijuana are the same plant species. State officials went to on to say in July – a few months after recreational sales opened – that CBD can’t be added to foods, drinks or nutritional supplements unless the CBD comes from a variety of cannabis defined as marijuana under federal drug law. The July rule has been only sporadically enforced, but entrepreneurs who make hemp-derived products say the California confusion is stifling growth in the booming CBD sector. “We are continuing to do business as normal,” said Dave Hargett, owner of Innovative Nutraceuticals, which has made CBD-infused lozenges and tinctures from imported hemp since 2013 in Southern California. A tricky definition also is limiting cannabis business opportunities in Texas, the nation’s second-most-populous state. Texas legalized medical marijuana in 2015 and has had legal MMJ plants in the ground since last year. But fewer than 600 of the estimated 150,000 Texans with eligible medical conditions have received doctor clearance for MMJ products, the San Antonio Express-News reported this week. Texas says doctors must “prescribe” MMJ, not “recommend” it – the terminology used in most states. Texas also limits which formulations can be sold. The state requires that MMJ products must be at least 10% CBD and limits THC concentrations to 0.5% of the plant’s weight. Texas’ limitations have led to just two retailers opening, with longtime cannabis activists writing off the state as unsuitable for commercial investment. But that’s a mistake, said Morris Denton, CEO of Compassionate Cultivation, a dispensary near Austin. “Any time you start a business, it’s fraught with peril, no matter what industry you’re in,” he said during an interview at MJBizCon in November. Way to go Iowa…so you donr want to call the plant by it’s scientific name huh? There is a reason everyone thinks the midwest is so ignorant…because it is!!! Naturally, if somebody who desires legal marijuana oil likewise does not desire an intermediary, they’re totally free to actually simply put CBD oil on their tongue and swallow it. CBD hemp oil is lawfully cost some dispensaries. Iowa allows medical marijuana but calls it something else. Texas restricts medical marijuana so severely that doctors must break the law to use the state’s program.